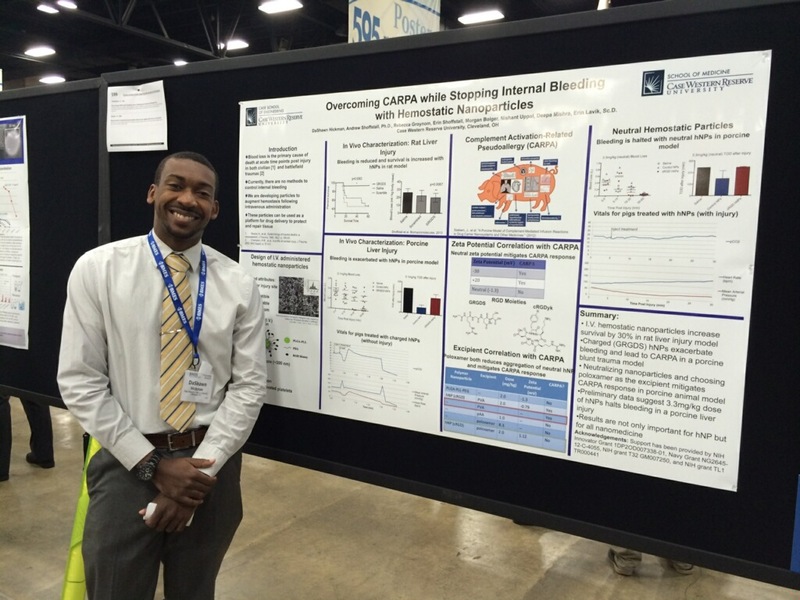 DaShawn Hickman had a fantastic poster at BMES about his work looking at engineering particles to mitigate complement. Congratulations, DaShawn! Next Post DaShawn wins poster award at APSA meeting!